A dental implant is a permanent tooth replacement option that looks and feels like a natural tooth. Implants are also, however, the most invasive tooth replacement option, and they sometimes require supplementary procedures as well — like bone grafts. A dental implant is made up of two parts: a tiny titanium rod that is surgically implanted into the jawbone, and a dental cap. This rod replaces the root of a missing tooth, and the cap creates a natural looking tooth that functions and feels exactly like your real teeth. And what is a bone graft? A bone graft is also a surgical procedure, whereby bone material from one part of the body (or in some cases, synthetic bone material) is grafted onto the bone in another part of the body. In other words, a bone graft is essentially a bone transplant. Bone grafts are usually performed to repair bone that has been damaged by trauma, and to increase the volume of bone in a certain area. Why might I need a bone graft for my dental implant? A bone graft is needed before dental implant surgery in cases where the available bone material in the patient's jaw is too thin or too soft to support to a dental implant. This is may be the case because some bone material has deteriorated during the time the patient's tooth was missing, or because the patient naturally has a small jaw bone that is not sufficient to support the implant. A bone graft creates a solid foundation for a dental implant. If the condition of your jaw bone is poor, or if you require a number of dental implants, you may need a substantial bone graft. 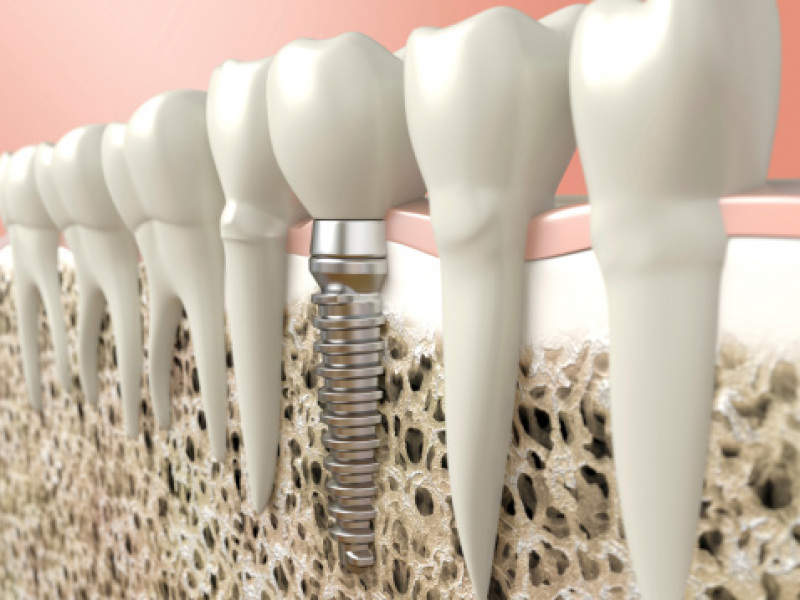 This can take up to nine months to heal before the implant can be placed. Or, if your jaw bone is in good condition and you only need one or two implants, you may only need a minor bone graft, which can actually be done in conjunction with the implant surgery. Although dental implants are a great option for replacing missing teeth, they do require surgery. Discuss the pros and cons in depth with your dentist before you commit. Please contact our Delta dentists today to book a consultation, and find out of dental implants are right for you.